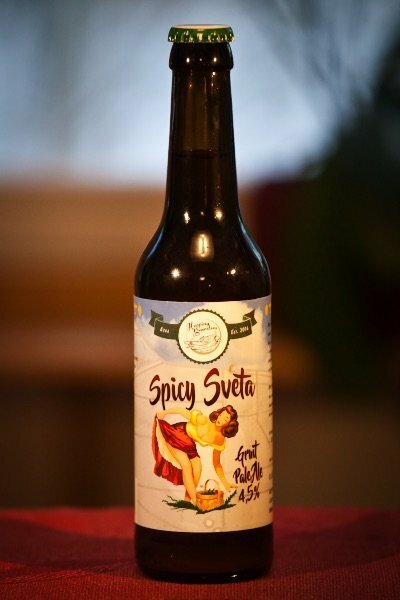 Today's beer is "Spicy Sveta" from Hopping Brewsters . 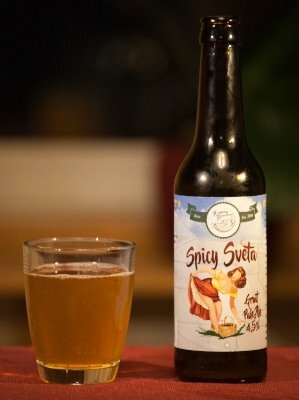 It's a small Finnish brewery located in Akaa, a town and municipality near the city I live. I chose this beer because of the fun name and label design. Also, I thought it said "Great Pale Ale." As it turns out, it actually says "Gruit Pale Ale." What the heck is "gruit"? Apparently, gruit is a herb mixture used for bittering and flavouring beer, popular before the extensive use of hops. For this particular beer, the gruit contains ginger and orange peel. Spicy Sveta combines American pale ale and ancient gruit ale tradition in a fruity and refreshing way. Indeed, the beer had a slight hint of fruity smell and flavor. I liked it. At least it was much better than yesterday's beer. And, it went well with this evening's beef burrito dinner. Use the tag "#sevendaybeerchallenge" as one of your five tags. This looks amazing. It’s nit a style I’m traditionally into. Me neither. I'm sure I'd never even try it if not for this beer challenge. great,,, is it strong ?